It’s been common refrain at HBS that we do a lot of ‘reflections’ – on our personal lives, careers, future direction in life, etc. But as a line in the HBS show said “now you must reflect deeply… within the next 10 seconds“. It’s a whirlwind experience, and you hardly have time to breathe – especially in the RC (first) year. Now, I’ve had almost 6 months since graduating and I truly have a chance to reflect on the last two years, and have the opportunity to try and provide an objective assessment on my experience at HBS – did it live up to my expectations? Did I wish I’d chosen differently? How cold is it REALLY on the bridge across the Charles river in January (answer: very). A few requests I’ve had for topics revolve around three areas, but in general most people wanted an overview of the experience from someone who’s been there. So I’ll cover the HBS triangle: Academics, extracurricular activities, and career opportunities. This is the first post covering the academic experience, and I aim to follow up before the year is up with the other two sections. I’ll be back before the end of the year to finish this off, I promise dear reader! I was a recipient of my section’s first cold call in class, on the very first day. It’s a strange experience. By this point you’ll have heard a little about how the classroom format works (if not, check youtube here), maybe visited or even had a practice run at an admit weekend. But there’s little that can compare to being asked to critically analyze a case in front of 90+ of your newest friends. This is an quintessentially HBS moment – and utterly brutal. During the brief respite comes the tightening in the chest. The voices in your head start early too: “Don’t say that, it’s a stupid thing to say”. “I hadn’t even considered that point of view”. “Oh dear..”. After two years, I’ll have read over 500 cases, at a rate of two to three a day. In the beginning, it’ll probably take well over two hours to prepare for each class. Each class is 80 minutes long, and the curriculum is front-loaded so 3 case days are the norm to begin with, which adds up to at least 12 hours just for academic work. You can add to this the usual socializing activities, getting to know your classmates, or within the first two weeks information sessions on various career paths begin. It’s a punishing schedule from the outset and time is scarce. After a while, perhaps halfway through the second semester, this reduces down to between an hour, and an hour and a half (or less, depending on your level of interest and attentiveness) in total prep per class. This means that time becomes more flexible, but by then you’ve been thrown into first year recruiting (most likely – for summer internships) which soaks up most of this time, and if anything is more intensive. It’s a massive buzz getting your name card at such a well-respected institution. It sits in front of you for the whole year, and I got strangely attached to mine. You don’t move seats at all in the first semester, so you get to know your amazing seatmates pretty well too. They’ll almost certainly become good friends. Over time you’ll meet the rest of your section. I’ve been genuinely open mouthed at some of the stories that sneak out during classroom discussions (or even more often outside). Even with the typical MBA concentration of consulting and finance backgrounds, the range of expertise in an HBS classroom is staggering. I found that those with more traditional backgrounds had ‘something else’ about them that meant they really stood out. Without exception it’s an exceptional group of people. I’ll write more about this in a later post. Knowing each other so well, even after a few weeks in such an intense environment means discussions become raw quickly and opinions are free-flowing. This is a great thing. The professors can often go 5 or 10 minutes without talking, only pointing to the next raised hand to continue the discussion (this is quite a skill to do well, do not think this is a free-ride compared to lecturing at the front of the class). I found in my group there was a great respect for the opinions of others, there was also a healthy appetite for debate and frank discussion. My own stand out moments include a section mate bluntly calling out a guest on his slightly dubious attitude to his staff, leadership lessons ACTUALLY ‘from the front-line’ and ‘while under-fire’ in Iraq & Afghanistan, or being expertly coached on the finer points of diversifying your asset portfolio by a former high-flying hedge fund analyst who sat a few seats away to my right. I hesitate to definitively assess any aspect of HBS, as I lack a point of reference at some of the other top institutions that are undoubtedly also excellent. But if I had to, the level of teaching is one area I’d generally give full marks. Compared to my undergraduate experience, the care, attention to detail, and knowledge of the staff (I include all staff, not just professors) is exceptional. Professors have to spend one of the two semesters each year dedicated to teaching and writing new cases and it shows. They know you, your name, your background, and what cases you may be able to bring unique outside knowledge into the classroom, even before they set foot in front of your section. At the beginning of the semester, the professors have a seating chart with handwritten notes all over it, hanging behind their desk in their office. The preparation is outstanding – apparently a single case takes around two days to prepare to teach. This is a contrast to many other top schools, where star professors are left to their own research and rarely leave their office. Of course, it is a big school and they are in demand, internally as well as all over the world in many cases. But over two years you will get enough time to get a real taste for top class academic thought. I could cite many examples, such as listening to Clayton Christensen explain the original thinking behind ‘disruption’, as opposed to it’s highly corrupted recent definition, is a real thrill and added a huge amount to my own understanding. I’ve been fortunate to meet and get to know some of my professors personally. At times their families, and outside the classroom. They’re passionate, warm people who want to learn from you and your experiences as much as you do from them. An oft-cited cause of concern amongst aspiring MBA’s is the RC (‘Required Curriculum’) at HBS during the first year. In contrast to Wharton for example, the first year is fully prescribed. There are no electives – you get what you’re given. Courses range from Finance (1&2), to Marketing, to ‘Lead’ (Leadership and People Management) to BGIE (Business, Government, and the International Economy). You don’t get to choose any of your courses in your first year… the horror of enduring FRC (Financial Reporting and Control)! But with hindsight there is a good reason for this: a standard base in the class’s knowledge is a) is useful to you, why learn what you already like and know, not something new from sometimes genuine experts in the room? And it’s also b) useful to others: in the second (EC – ‘elective curriculum’) year discussions are much better with some shared knowledge and base level of understanding in some quite niche topics. You reach a greater level of depth, faster as a result. And FRC is actually quite interesting… sometimes! Of course, you could go elsewhere and dedicate yourself to 20-odd courses in the detailed assessment of fast-growing startups (or similar). But don’t expect everyone a) to know exactly what they want to learn, and b) don’t expect yourself to be comprehensible to others afterwards anyway. Personally I’ve enjoyed the ability to pick completely new topics to me in the second year, with the safety net of knowing I won’t be completely out of my depth basing myself on the much broader RC year. And I’ve benefited from it. It’s said HBS students get great at picking a position, talking a lot and arguing strongly for it. But they may lack in execution, compared to thinking and speaking. But most people at HBS already ARE doers. It’s an incredibly action-orientated and self-starting community. So while I can see why people may see this highly negatively, I’m more inclined to see this as a way of rounding out some rough corners on some already pretty talented individuals. HBS is smart too. You’re in the family now. They want you to engage, discuss, challenge, and argue at every opportunity. And that’s the best way to learn – this isn’t undergraduate level getting spoon fed content out of a book – and you get out what you put in. In an academic context, they understand that in future you will become their next case protagonists. 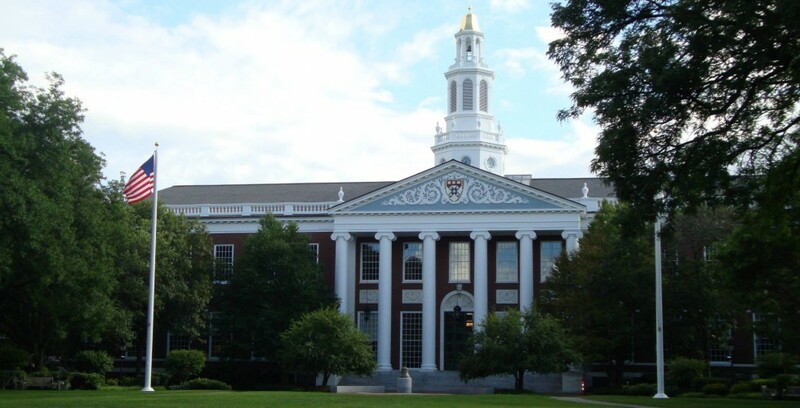 A hugely surprising proportion of cases are from the perspective of HBS alumni. And many of them come back to class, to share their experience first hand. And then listen to what we think. What an endorsement. Thanks to all those at HBS (fellow students and the dedicated staff) who made sitting in the classroom such a phenomenal experience for me over the last two years.